get discounts on your next order! The Dragon Wings Space Collection includes high quality, fully assembled, die-cast models of spacecraft and rockets. Each model is crafted with meticulous attention to detail using original specifications. They are constructed with diecast metal and some plastic components. The first orbital flight of the USAF's X-37B took place on April 22, 2010 after it was launched using an Atlas V rocket, and landed at Vanderberg AFB on December 3 2010 as scheduled. Its aerodynamic design is clearly based on that of the Space Shuttle. The 8.9m-long and 4.99-tonne X-37B has the ability to remain in orbit for up to 270 days propelled by a single Rocketdyne AR-2/3 rocket engine. 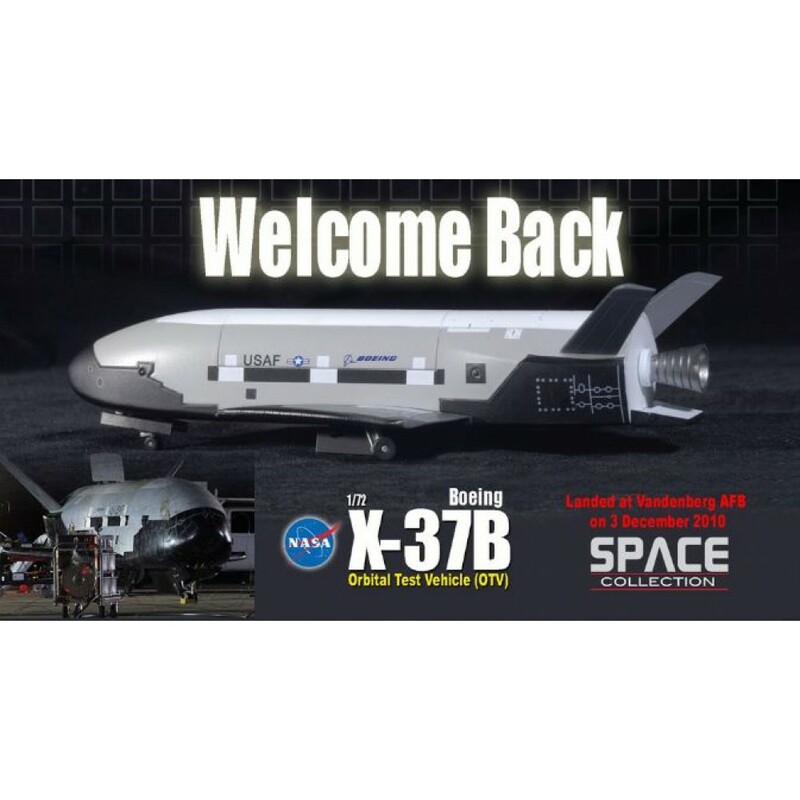 Produced by Boeing, the X-37B Orbital Test Vehicle (OTV) is an unmanned spaceplane created by the USA. 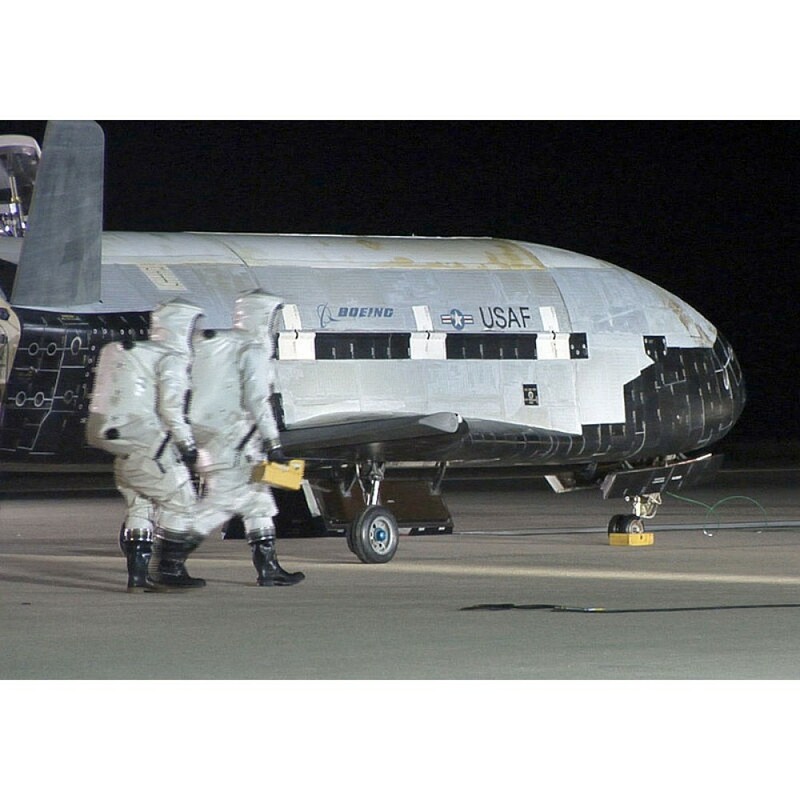 The X-37 started life in 1999 as a NASA project, but it was taken over by the Department of Defense (DoD) in 2004. The reusable spacecraft conducts orbital flights and is now operated by the US Air Force to demonstrate reusable space technologies. We are totally committed to the highest standards of customer care. MC Worldwide is a UK based retailer incorporating Modelcorner.co.uk specialising in Diecast Models by Corgi, Gemini Jets, Forces of Valor and many more. We have been trading for more than 10 years and offer the highest standard of quality and customer care.